Find an affordable dentist in Torreon to make your smile healthy and happy. Book with Dental Departures to find a high-quality dentist you can trust. 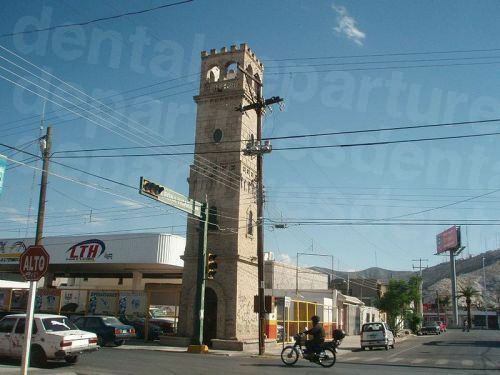 Torreon is in the state of Coahuila, near the southwest border. The cities of Torreon, Gomez Palacio and Lerdo are known as La Laguna (The Lagoon) and the area has grown significantly recently as one of Mexico’s most important destinations in terms of business tourism. Because there is such a large influx of business travelers, Torreon’s infrastructure has grown to accommodate these visitors, and it has become an attractive destination in terms of the activities and amenities it provides. Torreon is contemporary and young, but still retains a relaxed vibe. It is clean and appealing with friendly people, great shopping and the usual array of bars, restaurants and other nightspots that make modern cities tick. There is also a well-established cultural scene with museums, theaters and other events taking place around town. As it is a young city, it is easy to navigate as it has been planned properly. It has excellent facilities and services, such as hospitals and schools, and has one of the highest concentrations of universities in Mexico. As a visiting dental patient, Torreon’s facilities will not leave you wanting for anything, and dental facilities, in common with other services here, are excellent. Torreon is in the state of Coahuila, near the southwest border. The cities of Torreon, Gomez Palacio and Lerdo are known as La Laguna (The Lagoon). Why visit a dentist in Torreon? Torreon is establishing itself as a center of industry and is a pearl in the desert as far expertise in dental care. In particular, patients from all over the world come here for the outstanding results, particularly in the field of cosmetic dentistry. Technological advances in dentistry can turn everyday smiles into works of art with professionals who are masters of this new equipment. An industrial city, it is a popular destination for business tourism and so it stands to reason that medical and dental tourism are part of its culture. This means that there are excellent leisure facilities for this type of tourism, such as golf courses and shopping malls – so all the modern conveniences you need pre or post dental treatment are all here. Our dentists in Torreon offer a full and comprehensive range of dental services, for affordable prices. 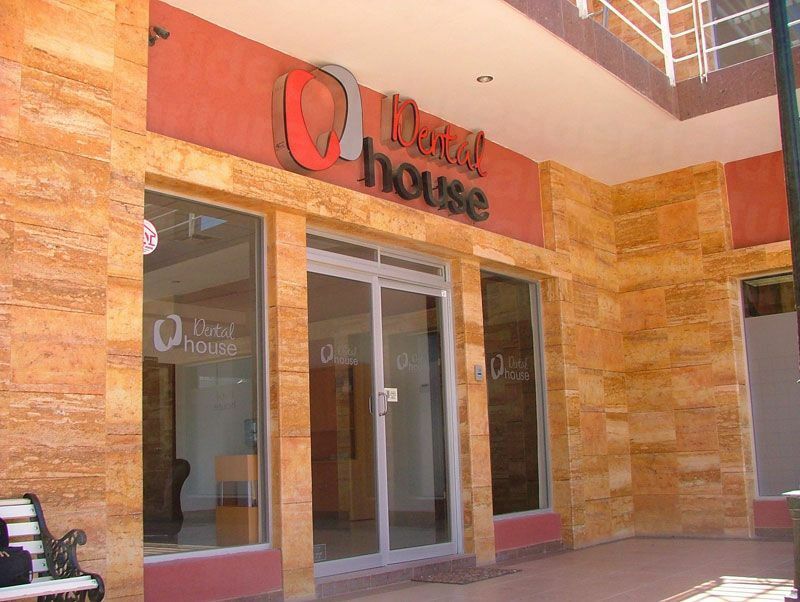 By booking with Dental Departures we guarantee you will always receive the best prices available, and you will also have access to our exclusive online promotions which many of our dentists offer from time to time, such as free or discounted hotel stays. Modern hotel chains, such as Marriott, Hilton and Crowne Plaza, have accommodation in Torreon and there are also 5* hotels located in golf resorts, so no need to waste time traveling to the green if you fancy a golfing break. Many of our dentists offer free or discounted accommodation with local hotels, depending on you procedure, so please enquire for further details. Recently, there has been an increase in violent drug-related crimes in the state of Coahuila and the most up-to-date US travel advisory has recommended that non-essential travel to the state be deferred. Providing you choose your dentist carefully there is no reason why your dental care here should be of inferior quality to that back home. Finding your dentist with Dental Departures allows you to pick a quality-checked dentist, whose background has already been checked. We also list our verified dentists’ qualifications, provide you with clinic photos, virtual tours and real patient reviews so you can get a good idea of the services offered before you go. Contrary to what you may have heard about dentistry in Mexico, dentist training is very good. Dentists have to train for the same number of years to become a general dentist as our dentists at home do. The difference is after qualification. Our dentists must undertake further training to become specialists, but in Mexico there is no requirement to do so. This is why checking qualifications is important – you want to be certain your dentist has the expertise to perform the procedure you need. Luckily, most dentists who treat international patients understand the value of further training and do obtain further qualifications, quite often in the United States. This means they can also become members of the American Dental Association, which is a sign of quality that your dentist in Monterrey has reached acceptable standards as far as America goes. Unlike many dentists at home, all our dentists have warranties or guarantees for the work they do, and for any materials used, so in the unlikely event that something does go wrong your dentist in Torreon will put in right. English is spoken widely throughout the city and you will find our dentists have no problems communicating with you. US cash is accepted everywhere, but other payment methods vary from clinic to clinic. You can check specific details for your dentist on our website. Many clinics accept debit, credit cards and personal and traveler’s checks, but credit card payments are usually subject to a small processing fee of between 3 and 4%. If your insurance company provides ‘out-of-network’ care you will be able to reclaim the cost of your treatment when you go home. Check with your insurance provider before you travel, and make sure you obtain the appropriate forms and documentation to bring with you for your dentist in Torreon to complete. You may be able to save money on your dental care in other ways, for example, by claiming tax deductions. Check with your tax office. Our dentists are open all year round so you may visit at any time. The weather is hot, arid and semi-desert – very hot by day and cool at night. Rainfall is rare, but more prominent in summer. As a new city it is certainly a lot more wheelchair-friendly that many of Mexico’s older colonial cities. There are many wide, open spaces with even paving and slopes rather than steps and shopping malls, plazas and hotels which make it a breeze to get around. Most of our dental clinics are wheelchair-friendly so just let us know your requirements and we can always get you to one of our dentists. Recent problems aside Torreon was always a peaceful city with no particular dangers or annoyances. Unlike the United States and Canada, local anesthetic rather than sedation dentistry is standard in Mexico. If you do require sedation, most of our dentists can arrange this, but it will need to be requested in advance because the services of an anesthesiologist are necessary. There is also an additional fee for this of between $400-$600. On top of a hill alongside a Catholic church the statue of Cristo do Noas is the third tallest statue of Christ in Latin America, behind Christ The Redeemer in Brazil and Cristo de la Concordia in Bolivia. There are great views across the city from here and the outstretched arms of Jesus symbolizes protection for the inhabitants of Torreon. Fundadores Park is a beautiful wilderness area in the city providing recreational activities, including sports facilities and cultural events such as outdoor theater and concerts. The Perla Canal is an artificial waterway with a series of underground tunnels originally used for irrigation, built in the 19th century. 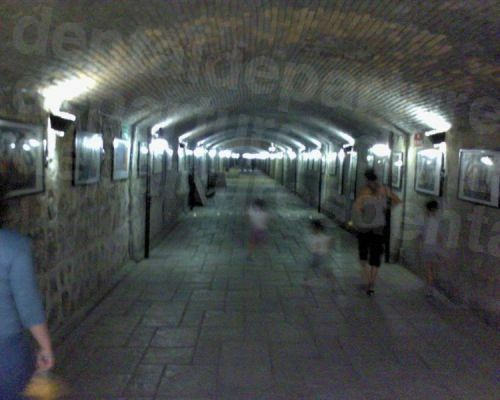 The tunnels have been restored and turned into an art gallery and it is a fascinating place to spend a few hours. Ecotourism, characterized by trips into the surrounding desert are popular, as is a trip to the Cuatro Cienegas Biosphere Reserve, which has crystalline pools ideal for diving. For thrill seekers, the Bilbao Dunes are great for sandboarding, or you can visit the date plantations nearby. Golfers are spoilt for choice with a number of PGA world-class courses – and there are plenty suitable for amateurs too. The nearest airport is Torreon’s Francisco Sarabia International, just a few miles away. Airlines flying here include Aeromexico, Continental and Delta. Guadalupe Victoria and General M Escobedo in Monterrey are other possibilities. Book an appointment online or call us toll-free. You can get free quotes, view clinic photos, take virtual tours, read real patient reviews and find exclusive promotions on our website. 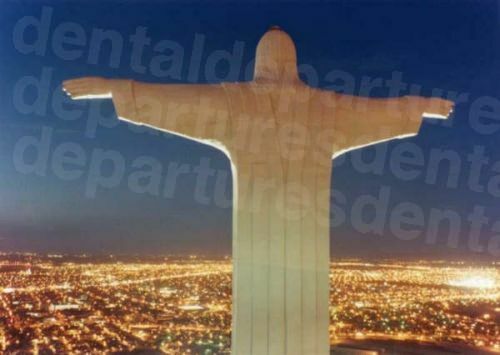 Save a fortune and discover great-qualitys dentists in Torreon with Dental Departures.